​Questions about Taking College Entrance Exams? There are lots of questions about testing, when to test, what test to take and how to prep for college entrance exams (ACT or SAT). The answer to all is as varied and individual as each student is. The general rule of thumb is test at the end of Junior year and the beginning of Senior year. Choose the test that feels most compatible with your test taking style. And finally prep as much as you can! PrepScholar Blog has outlined a guideline entitled When Should You Take the SAT or ACT? Although it is dated December 2014 and the SAT exam format has changed, it is still very relevant. Be aware that this is a .com site and is more than willing to sell you information or test prep! 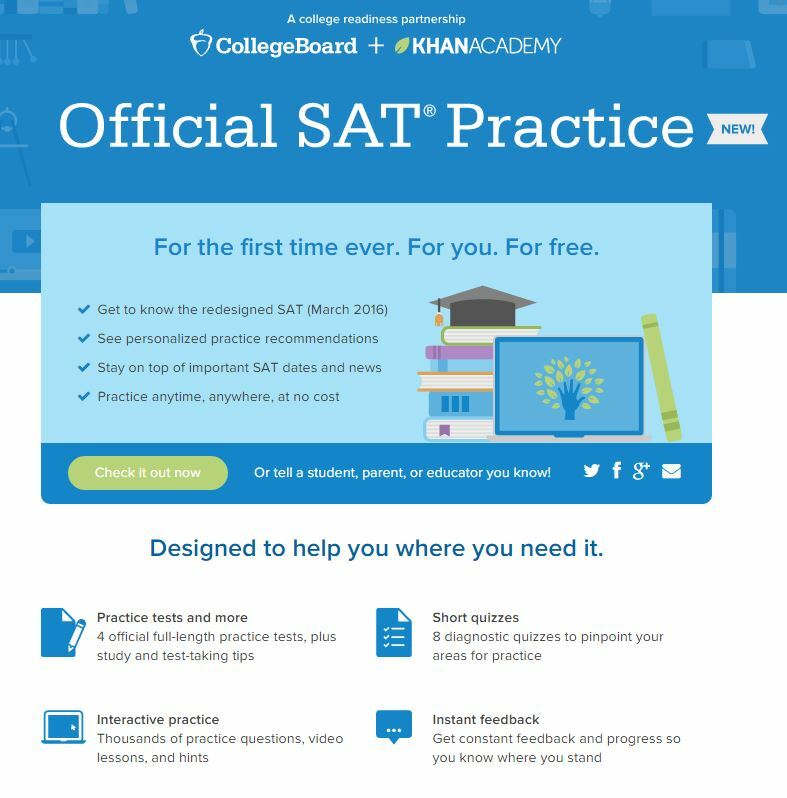 If you plan on taking the SAT, we recommend you link your College Board account with Khan Academy. Scores from your PSAT exam will be used to develop personalized SAT instruction to improve on your skills. This valuable, online program is FREEEEEE! The easy step-by-step directions can be found here. Links to websites are offered for your convenience in accessing related information, but do not constitute an endorsement of the website or its content. TOHS takes no responsibility for the views, content or accuracy of the information presented by an external website. Check the SAT and ACT links for tests dates which are now updated for the 2018/19 testing season. The PSAT is administered once per year in the Fall . The test date for Fall 2018 is Wednesday, October 10th at TOHS. Registration will open at Back to School Night in the CCC, by CHECK ONLY! Further registration information will be available soon. TOHS highly encourages Honors Freshman and Sophomores to take the PSAT in order to get familiar with the test. Taking the test early can help increase scores for Juniors, when it counts! Khan Academy provides FREE SAT prep with video tutorials, full-length practice tests and more. Also, link your College Board account to Khan Academy to get personalized instruction based on your PSAT results! From College Board - How to link your College Board account with Khan Academy and why you should! ﻿AP, or Advanced Placement﻿ tests begin May 2019. Click here for a link to the AP exam schedule. Colleges use standardized tests like the ACT and the SAT Reasoning Test because there are substantial differences in funding, curricula, and grading amongst high schools across the country. ACT/SAT scores are used to supplement the secondary school record and help admission officers put local data—such as course work, grades, and class rank—in a national perspective. The combination of high school grades and SAT/ACT scores are the best predictor of a student's academic success in college. The ACT and SAT are different tests that measure similar but distinct constructs. The SAT measures general verbal and quantitative reasoning, while the ACT measures achievement related to high school curricula. The SAT is a globally recognized college admission test which shows colleges what students know and how well they can apply that knowledge. It tests a student's knowledge of reading, writing and math. Most students take the SAT during their junior or senior year of high school. The SAT doesn't test logic or abstract reasoning. It tests the skills students learn in school: reading, writing and math. The knowledge and skills in these subjects are important for success in college and throughout a student's life. SAT Subject Tests are hour-long, content-based tests that allows students to showcase achievement in specific subject areas where they excel. These are the only national admission tests where students choose the tests that best showcase their achievements and interests. SAT Subject Tests allow students to differentiate themselves in the college admission process or send a strong message regarding their readiness to study specific majors or programs in college. In conjunction with a student's other admission credentials (high school record, SAT scores, teacher recommendations, etc. ), they provide a more complete picture of a student's academic background and interests. 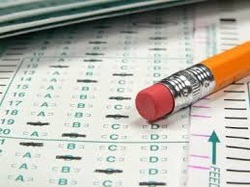 Some colleges also use Subject Tests to place students into the appropriate courses. There are 20 SAT Subject Tests in five general subject areas: English, history, languages, mathematics and science. Students will want to take the tests that are required or recommended by the colleges that they are interested in. Also students should consider taking subjects that they excel in or may want to major in, to showcase their strengths and interests. The ACT test assesses high school students' general educational development and their ability to complete college-level work. The multiple-choice tests cover four skill areas: English, mathematics, reading, and science. The Writing Test, which is optional, measures skill in planning and writing a short essay. The main four tests are scored individually on a scale of 1-36, and a Composite score is provided which is the whole number average of the four scores. On the ACT, each question correctly answered is worth one raw point. Unlike the SAT, there is no penalty for marking incorrect answers on the multiple-choice part of the test. Therefore, a student can answer all questions without suffering a decrease in their score for questions they answer incorrectly. The SAT and the ACT are just one factor among many that colleges use to get to know you better. It’s best to keep the test in perspective and understand that it’s only part of a comprehensive admission process that also recognizes other factors, like extracurricular activities and personal recommendations. As juniors, students should sign up to take the ACT and the SAT. Some students do better on one test more than the other, so it is recommended to take both. All schools accept both tests now and will recognize the highest score. We recommend taking the tests in May and June when the students have completed the majority of their junior year. There will be opportunities for students to take the exams again in the fall of their senior year up until December, and hopefully improve upon their scores. Students will need to have the College Board and the ACT submit their scores. These scores are not submitted by the high school. Students can choose which scores to send. If students send all of their scores, the schools will only look at the highest score. New SAT Test Prep Opportunity (It's Free Too)!